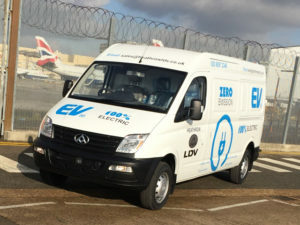 Available now from Heathrow LDV Ltd and branded as the LDV EV80, or as the Maxus EV80 in Europe, initial deliveries are taking place to fleet customers in Austria and Germany, including German leasing firm Maske Fleet which recently delivered a fleet of the vans to a Hamburg-based courier service. The Maxus brand is already establishing partnerships with large organisations and major fleet operators ahead of its full Europe-wide launch in 2019. Developments in Benelux, Norway, Sweden, Denmark, Italy, France and Spain are also due to be revealed shortly in line with the firm’s Europe-wide growth plans. In total, the Maxus brand is targeting more than 200 fleet operators across Europe while future SAIC Mobility Europe activities will see the introduction of a range of SAIC brands, products and services in the coming years. Available as a panel van and a chassis cab, the EV80 vans have a range up to 200km and a charging time of two hours. 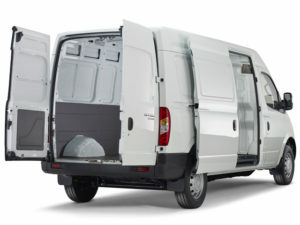 The panel van features a cargo area length of 3,300 mm, width of 1,770 mm and height of 1,710 mm, resulting in a total volume of 10.2 m3, accessible through wide-opening rear and side doors. The maximum payload capacity is 950kg. The chassis cab offers a maximum towing mass of 750kg. Depending on variant, standard kit includes rear parking sensors, air conditioning and heated, electrically adjustable side mirrors.